The highly professional and compassionate all-round care we offer our guests is what makes us unique. Some 500 employees in our two clinics look after your well-being – first and foremost our almost twenty doctors. You will be accompanied from the beginning to the end of your stay by your attending doctor. To achieve the best possible result during your stay, your therapeutic relationship will start with detailed diagnostics, a thorough medical check-up and a confidential interview. In addition to purely physical aspects, the first check-up takes into account your current life situation as well as any particular circumstances in your professional and private life. Finally, we use the results to put together an individual therapy plan based on your needs. As part of our range of medical services, we also offer further diagnostics such as micronutrient analyses or an analysis of your exposure to toxins and your capacity for detoxification. We also provide a wide range of additional laboratory and internal medical examinations in-house for individual cases. 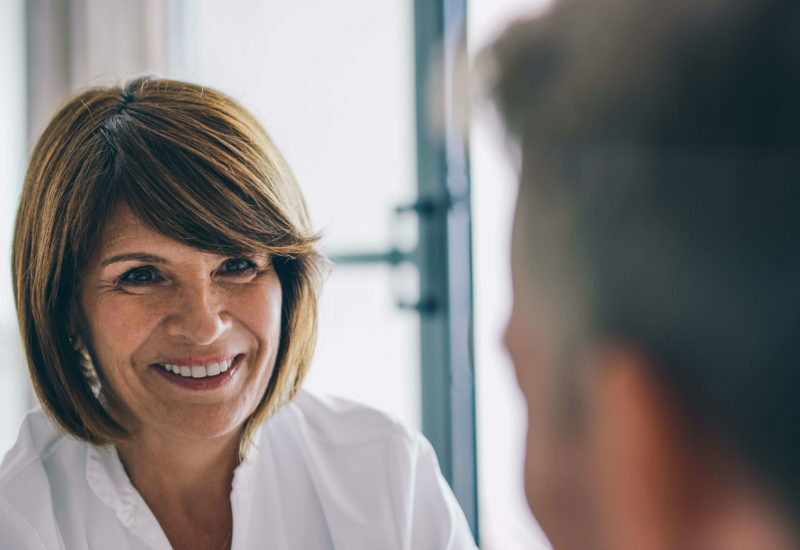 A special service available at Buchinger Wilhelmi as part of integrative medicine is a second opinion on a disease you have been diagnosed with. We can put together an alternative or complementary treatment plan for you. This applies in particular to type 2 diabetes mellitus, rheumatic diseases, multiple sclerosis, exhaustion, migraine, chronic gastrointestinal disorders and cancer prevention. 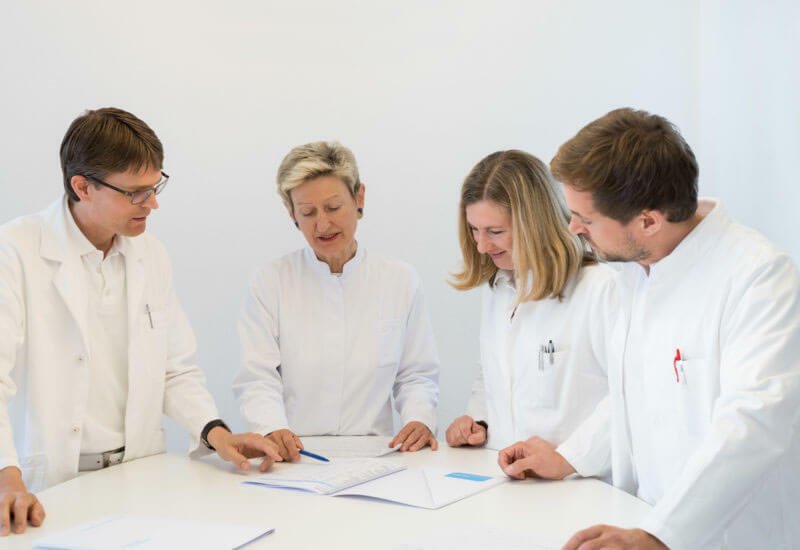 The largest department at Buchinger Wilhelmi is also the soul of our clinic: Our team of nurses, nursing assistants and room personnel provides you with care and support when you need it. They give you the feeling that you are welcome, cared for and in good hands. Our registered nurses not only offer medical services, they also dedicate themselves with great care and attention to the emotional aspects of your stay. If you are looking for solitude and calm, they will respect your need for peace. This protected and healing atmosphere is typical of the spirit of Buchinger Wilhelmi. Dr. Otto Buchinger was also aware of the supportive effect of “auxiliary methods” during fasting. Today, we offer more than 250 different treatments by certified therapists specialised in massage and relaxation therapy, fitness, physiotherapy, nutrition and psychotherapy. The Fasting Coach is an app developed by us for the iPad that accompanies you during your fast every day, step by step, anticipates your questions and provides a wealth of information so that you can understand exactly what is going on in your body and your inner self. Short films in four languages (German, English, French and Spanish) provide an introduction to Buchinger Wilhelmi therapeutic fasting. They calm your fears before they arise and provide plenty of practical tips when you need them. Especially if you are fasting for the first time, the Fasting Coach will be your constant companion.